Shawn and his family live near Fort Lupton, Colorado. Shawn is a full time auctioneer. He is an advocate for the auction method of marketing and served on the Colorado Auctioneers Association board of directors in 2006 and 2007. 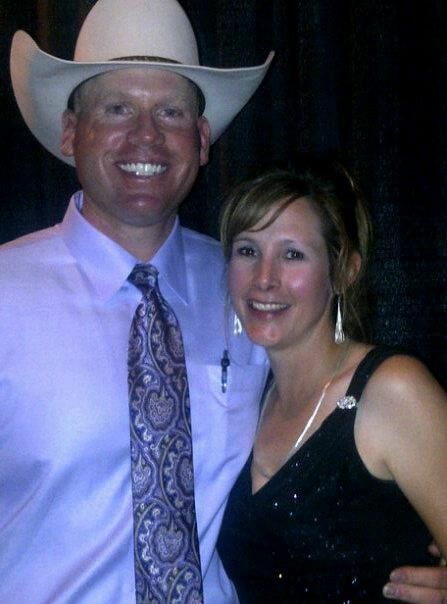 Shawn is a member of the Colorado Auctioneers Association, Wyoming Auctioneers Association, Montana Auctioneers Association, and the Texas Auctioneers Association. While attending the University of Northern Colorado on a football scholarship he received his degree in Speech Communication and was a member of the 1997 Division II National Championship football team. He competes at the professional level in rodeo in the event of team roping and is a multiple time Mountain States Circuit Finals qualifier. Click Here to read an article written about Shawn and his brother roping at the National Western Stock Show. Shawn and his wife pictured at the Black Cat Ball Fundraising Event. Contact Shawn today to schedule your next event!